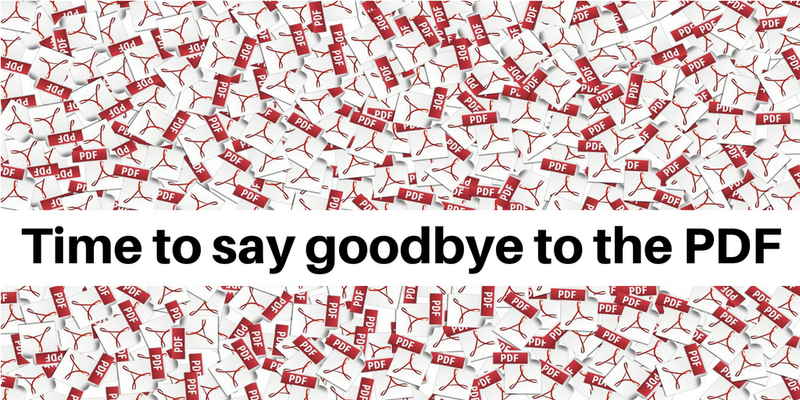 Let’s get rid of the PDF – welcome Digital Supply Chain! When you want to reach full digitalization, you have to adapt to a digital mindset. How do we achieve this you might wonder? The key is to map all your functions, demands, inputs, outputs and the interactions requested. Focus on storage, sharing and reuse of the same data and then start the change. To see the bigger picture you might want to ask yourself, what do I need to be able to provide delivery to a digital supply chain. What’s in it for my customers and what’s in it for me? To say that the digitalization effects we see in industries these days as e.g. the PCB industry, is changing how we interact with each other, is simply an understatement. The digital development will sort out the leaders from the losers. At Elmatica we embrace change and innovation and we love to see how systems can be integrated. That’s why implementing a Digital Supply Chain is our key focus area for the next two years. A more and more digital production line increases our efficiency and allows us to focus on other tasks, that creates a higher value for the company and customers. The supply chain has evolved from some points of contact to complex chains of designers, OEMs, assemblers, brokers, distributors, factories and sub-contractors. All sending data back and forward, doing manual labor trying to interpret. Now we think it’s time to get rid of the PDF and welcome Digital Supply Chain. Digital Supply Chain you might ask? Somehow digitalization seemed like the buzzword in 2017, everyone talked about it and discussed how to become digital. Thinking one will be digital is not equal to actual being so and understanding what it takes. We have earlier talked about Industry 4.0 and AI and the premise for these aspects is the ability to share data. It all boils down to sharing data and how can you use this sharing of data, to automate tasks in your supply chain? So, what is a Digital Supply Chain? Imagine how things are today, a supply chain built partly on digital communication, pdf, and paper. The tracking and controlling process is time-demanding and it’s difficult to have full control. A Digital Supply Chain is as the description states, a chain where all communication is digital, thus, built on web-enabled capabilities. People are great, we love people, but people also do mistakes. It’s in our nature. We sometimes make a decision based on the wrong parameters. By programming APIs using the power of computers talking to computers, integrating systems and smart capabilities, you will not only obtain full control of data. You also get transparency when data is shared, save time, money and make fewer mistakes. Sounds amazing, doesn’t it? The best part? We are getting there pretty soon. Offering our customers a Digital Supply Chain (DSC) means that we will have the capability to handle a quote digitally from start to end, by implementing automation, Application Programming Interface (API) and Artificial Intelligence (AI). This will provide us with the ability to handle even more requests at a faster speed, with even higher accuracy and with the same amount of employees. It is a win-win situation for all involved in a purchasing process. By implementing DSC we will free capacity to do what we are best at, solving our customer’s challenges, providing knowledge, experience and ensuring that their printed circuits are produced at the correct manufacturer, according to the standards and to the best price. A more and more digitized production line requires a higher demand for efficiency and speed. Customers experience automation, want their RFQs faster and the ability to track the development of their products. By implementing a digital supply chain this is possible. We can offer our customers a different set of business intelligence and be able to share data with our customers, manufacturers and other involved parties. The goal is to provide our customers with transparency and access to their data, predictability, meaning they know what to expect, when to expect it and how to find the information they desire at any time. Offering a Digital Supply Chain is not a change that happens overnight. There are hours and hours of programming, testing, planning and sorting out the best platforms, systems, and solutions to be integrated. Back in the days, gold miners worked hard to find the best spot for gold digging, then oil drillers did the same to pump up the best oil from Mother Nature. In 2018, data and how you collect and utilize it is what will separate the winners from the losers. We have lately seen examples of data-handling gone wrong. The Facebook scandal is one example. Happenings like this awake people, reminding them that data is here to stay and it must be secured in a proper way. At Elmatica we know printed circuits by heart, procuring them for decades. Still, we realize that it’s not all about printed circuits anymore, it’s also about data. That’s why we initiated CircuitData, it is Open Sourced (owned by nobody and accessible for everybody for free) as a common language for printed circuit fabrication data. That’s also why we this month has taken our first steps on the new digital highway by implementing Alfa 1 version of a completely new platform and system for verifying, calculating and storing our offers digital. The new system will make data handling safer and easier to access. By using APIs to automate processes and collect information through Artificial Intelligence, the process will run smoother and be presented to our customers in a precise and improved matter. The new way of handling offers is the first step towards live access to all data for our customers. We know what kind of information is crucial to make the right decisions in a purchasing process, for us it’s important to improve the decision-making phase for our customers, presenting the information needed and giving them access to all other information through links and download functions. The new platform for our offers is just the beginning of implementing Digital Supply Chain. Later we will implement the Audit App – simplifying the Audits, making them live and traceable with all sort of function to easier follow-up action points, get a live viewing of completed tasks, see when new routines are implemented by manufacturer and standards for new process qualification is updated. Digitalization is the future if we like it or not. We, at Elmatica, will use 2018 and 2019 to implement our Digital Supply Chain, it takes time and demands lots of data and system integration. It’s like producing printed circuits if your production is not perfect, it all falls apart, sooner or later. We prefer never, and spend our time wisely welcoming the digital future with open arms. 8 things to consider when planning a Flex or Rigid-Flex board The Velocity of Technology- what does it really mean?